For additional Activities and LINKS to every listed activity please go to our Desktop site (gibsonhousebb.com) using your Desktop or Laptop. First-time visitors to the Upper Connecticut River Valley don’t realize how compact the states of New Hampshire and Vermont really are! The Gibson House is located within 45 minutes of most attractions in northern/central New Hampshire and Vermont. Unlike city driving, the travel here is the best part! We are situated on a bluff overlooking the Connecticut River Valley, yet right in the middle of Haverhill Corner, a village that looks much as it did in 1850.The Alumni Hall Cultural Center is right across the street from us, and now features a new website with an exciting program of summer cultural events. Directly behind the hall are two public tennis courts. We enjoyed many performances of ‘Theatre Under the Stars’. You will too! Bridges cross the Connecticut River just north and south of us, providing easy circular tours with outstanding views. We are 10 minutes from the Appalachian Trail and hiking trails to Mount Moosilauke (4802 ft). The Upper Valley offers the best of country living, with visitor-oriented Farms, Festivals and County Fairs. There are a surprising number of attractions nearby including White Mountain National Forest or Dartmouth College. You will never be bored at the Gibson House. Let us help plan your vacation! No visit to the Upper Valley would be complete without stopping at Farm-Way, Inc. just off Interstate 91 in Bradford, VT, the ultimate purveyor of comfortable shoes and clothing, as well as gifts, gadgets, food, and furniture. The King Arthur Flour Baker’s Store is located just across the River from Hanover, NH and Dartmouth College. If you are not already inspired to cook, you will be after your visit! Steenburgh Antique Auctions can yield some terrific bargains. Many of their auctions are held right across the street in Alumni Hall. There are several eclectic antique shops on the Fairlee, VT, Town Common, including Gryphon Antiques 802-222-4488 and Antique Marketplace 802-333-9596. Just a mile up the road from us is The Shop in the Barn, a hidden gallery of American Folk Art and Furnishings. 603-989-5323. 1000 Dartmouth College Highway, Haverhill, NH. For farm-fresh gourmet cheese, organic non-pasteurized milk, natural beef and sausage, and free-range eggs, stop at the Robie Farm 25 Route 10, Piermont, NH, 603-272-4872. You can visit the longest covered bridge in NH next to the oldest general store in America on Route 302 in Bath, New Hampshire. 603-747-2074. When you’re touring Historic Littleton, NH, be sure to visit Chutter’s with the World’s Longest Candy Counter. The League of NH Craftsmen has retail galleries in Littleton and Hanover, NH. Peg Villar, Orford, NH 603-353-4552. Peg also provides in-home boarding for your dog. If you haven’t experienced the thrill of ballooning, BOLAND BALLOON is the place for you! Brian and Louise Boland have been in business since 1970. “Brian is one of the most experienced pilots in the world, has set numerous world records, won national championships, and has flown all over the world…He’s a renowned Balloon designer, builder, and story teller.” You can visit their private collection of over 100 balloons, airships and antique vehicles at the Post Mills VT Airport, 802-333-9254. 2000 feet above the Upper Connecticut River Valley is Boulder Beach State Park, where you can enjoy swimming, boating and picnicking along beautiful Lake Groton, VT. The facilities are immaculate and the views are magnificent. Have you ever wanted to enjoy a water park experience without worrying about the weather? The nearby Upper Valley Aquatic Center combines serious swimming facilities for adults with a state of the art water park for kids. One of our favorite places to go swimming is Treasure Island on nearly Lake Fairlee, VT. You can rent a boat, fish, and entertain the kids in one location. Hemlock Pete’s Canoe and Kayak Rentals is only a mile north on Route 10. They will provide everything you need for a day trip down the Connecticut or Ammonoosuc Rivers, or a leisurely paddle on nearby Long Pond in Benton, NH or Lake Tarleton in Piermont, NH. Fairlee Marine is just south of us on the Vermont side of the Connecticut River. They rent aluminum outboard and pontoon boats, as well as canoes and kayaks. They will deliver your boat to nearly any river or lake in the Upper Valley. For fishing on the Connecticut River, we recommend Bedell Bridge State Park, ½ mile upstream. You can pick up your fishing license around the corner at the East Haverhill General Store. We recommend beautiful Lakes Tarleton and Armington in Piermont, NH for swimming, boating, or fishing. The semi-private Hanover Country Club 18 hole Golf Course adjoins the Dartmouth College Campus. The Lake Morey Country Club in Fairlee, VT offers 18 holes and full-service facilities. The Fairlee Drive-in offers first run movies and first-rate refreshments – with a double feature on weekends. 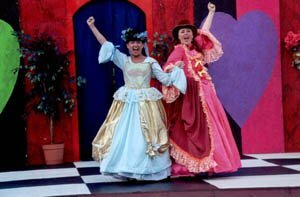 Old Church Community Theatre in Bradford, VT has presented over 20 years of summer productions geared for family entertainment. The Hopkins Center for the Arts at Dartmouth College in Hanover, NH is only ½ hour away. North Country Chamber Players brings world-class repertoire to the White Mountains, including our very own Alumni Hall. For an eclectic menu, that offers casual American fare, authentic Brazilian and Mexican dishes, and fresh seafood, we recommend the Little Grille in Woodsville, NH. Many of our guests have enjoyed Ariana’s Restaurant for dinner, and have taken home their cheese and other specialty foods. For an unforgettable New England dining experience, we recommend Peyton Place Restaurant in Orford, NH. Enjoy authentic Italian food with ambiance at Colatina Exit in Bradford, VT. In Wells River is the Happy Hour Restaurant, where you’ll find good food at a nominal price. Samurai Soul Food The Asian Fusion Food is outstanding, and really creative. Prices are moderate, and portions huge. You will want to try the entire menu! Enjoy the beautiful home, studios and gardens of Saint-Gaudens, one of America’s greatest sculptors in Cornish, NH. There are classical concerts every Sunday during the summer. We love to spend the day at the Shelburne Museum, one of the country’s most eclectic museums of art, Americana, architecture, and artifacts, just south of Burlington, VT. There are 39 buildings. 6 period houses, a lighthouse, a steam locomotive, an operating vintage carousel, a general store, a covered bridge, and the Steamboat Ticonderoga. Fine art galleries include paintings by Impressionist masters and great American artists. 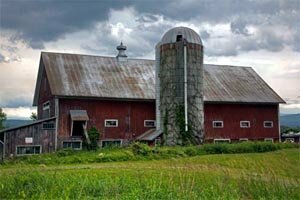 Visit the Marsh-Billings-Rockefeller National Historical Park, and Billings Farm and Museum in Woodstock, VT. The working model farm and exhibits have been sustained by the Billings and Rockefeller families since 1871. The Fairbanks Museum St. Johnsbury, VT, is a masterpiece of Romanesque Victorian architecture with displays of natural/regional history, science, and culture. The Museum is home to the only public planetarium in Vermont. The Montshire Museum of Science in Norwich, VT offers "one of greatest assemblages of hands-on, child-friendly exhibits ever gathered in one place." (NY Times). You can see demonstrations with live raptors, including owls, eagles, hawks and falcons at the VINS Nature Center in Quechee, VT.
Clark's Trading Post is a great old-fashioned family fun park. We recommend the Flume Gorge at Franconia Notch State Park for a scenic day trip. A visit to Mount Washington via the auto road or cog railway is an unforgettable experience! Rock of Ages Visitor Center and Design Studio, Barre, VT. The tour includes a bird’s eye view of a working granite quarry. We have enjoyed all of these fairs. You will too!